The challenges associated with uncovering vital infrastructure pose significant risks to the health and safety of your work force and can negatively impact profit margins. 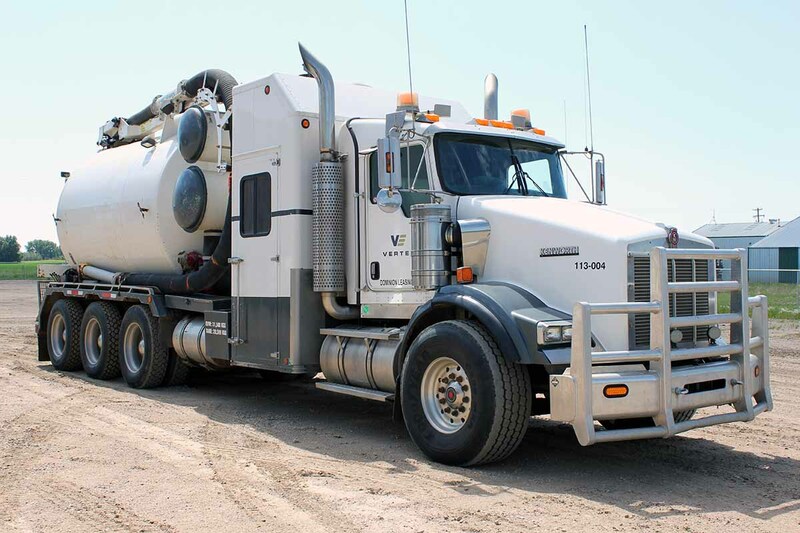 Vertex’s Hydrovac Trucks use a combination of water blasting and vacuum power to become the perfect solution for non-destructive excavating of buried pipes, lines and other sensitive infrastructure. 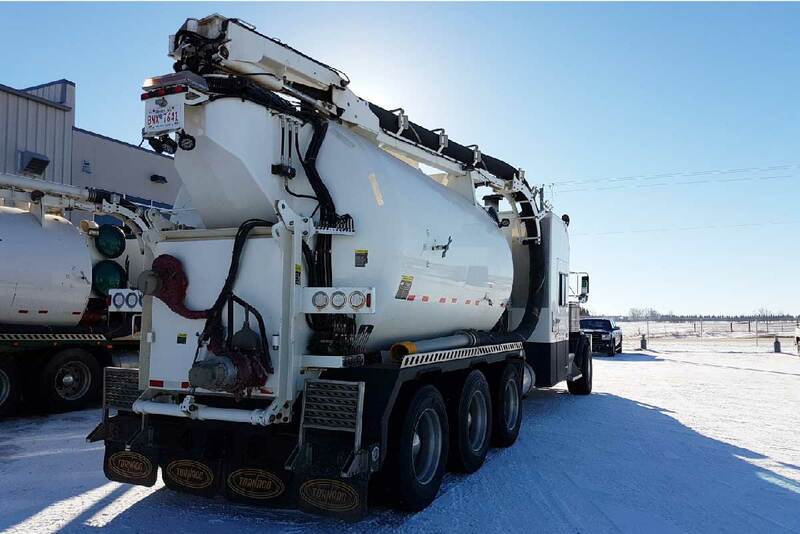 Using a Hydrovac Truck is a safe and efficient alternative to conventional methods of excavation and can be utilized year-round as on board water heaters allow for the easy removal of frozen ground. 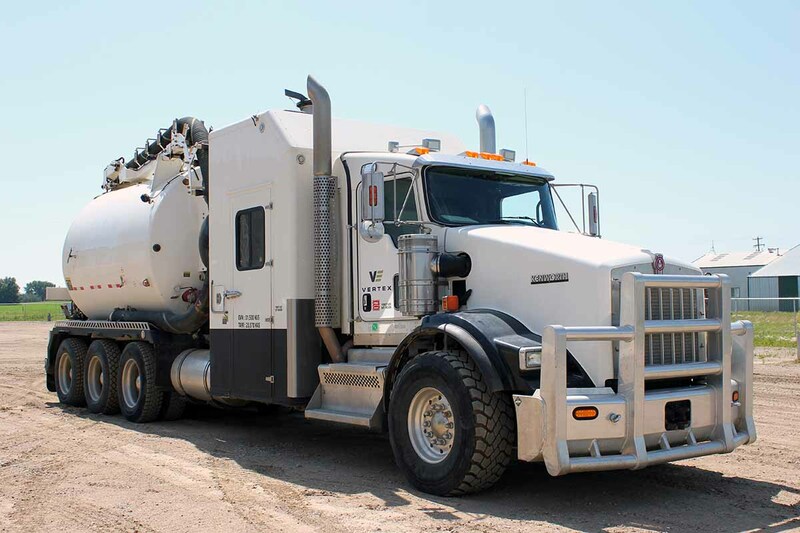 With an overhead extendable boom to maneuver the Hydrovac Hose, Vertex’s fleet of Hydrovac Trucks become ideal for reaching hard to reach locations in congested urban areas, facilities and around high pressure pipelines. As a smaller excavation area is needed (as narrow as 3″ wide), compared to traditional bucket excavation methods, our clients benefit from the reduced environmental liability and potential restoration costs associated with their projects. 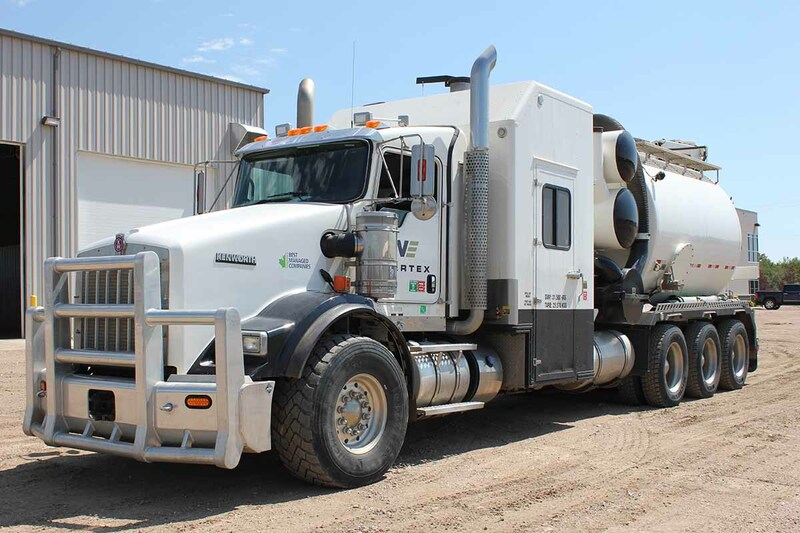 Whether it be a facility turnaround or a new project, Vertex has the equipment and operators needed to support all sizes of projects in a safe, cost effective and timely manner.